Bed design pioneer Philip Young tells how he has survived the recession by supplying a range of British-made bespoke furniture from his family-run stores in London and Kent. I run Koala Furnishings, which specialises in supplying ready-made and made-to-measure oak and pine furniture for the bedroom, living room and dining room in addition to beds, chairs, sofas and corner sofas that can also be made to fit your room. We have two shops, one in Lewisham in South-East London and the other in Sevenoaks in Kent, that supply customers from all over the South-East of England. How did you enter the furniture trade? I set Koala Furnishings up in 1985. I started with a shop in Bexleyheath that specialised in selling high-quality beds. I was one of the first retailers to put pocket sprung mattresses on slatted frames. Nobody had done this before because manufacturers would not offer a guarantee on them; they feared that the springs would fall through the slats. I set up a guarantee with the manufacturer I bought my bed frames from, which proved to be a good and very profitable move. However, such a simple idea was easy to copy and one of my rivals came over to my shop to see what I was doing. From there, we moved into pine furniture and then oak. Today, I supply a lot of hand-made furniture, including sofas, wardrobes and bookcases. We can make anything in any size that our customers request. My market is the Middle to the higher-quality end. 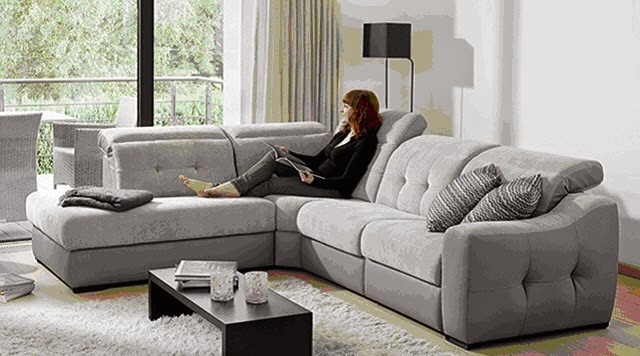 If a customer wants a corner sofa of a particular size, for example, we can provide a made to measure piece of furniture in any covering the customer requires. Instead of fitting their rooms round the products other retailers supply, we can provide furniture that fits round our customers’ room dimensions. What’s more, about 70% of the furniture we provide is now British-made. That figure did drop to about 30% when manufacturers in the UK were going out of business, but it has now returned to previous levels and in the future I would like that figure to be higher. Could a change in government policy do anything to help independent traders? In the shorter term, our trade would receive a shot in the arm if the government reduced the level of stamp duty charged on properties costing between £250,000 and £500,000. We do more business when the middle of the housing market is in good shape, but I do not think that’s the case at the moment. There are certainly fewer second and third-time house buyers out there because it’s too expensive for them to move.